Restoring the Foundations Special — ALYN & A.J. 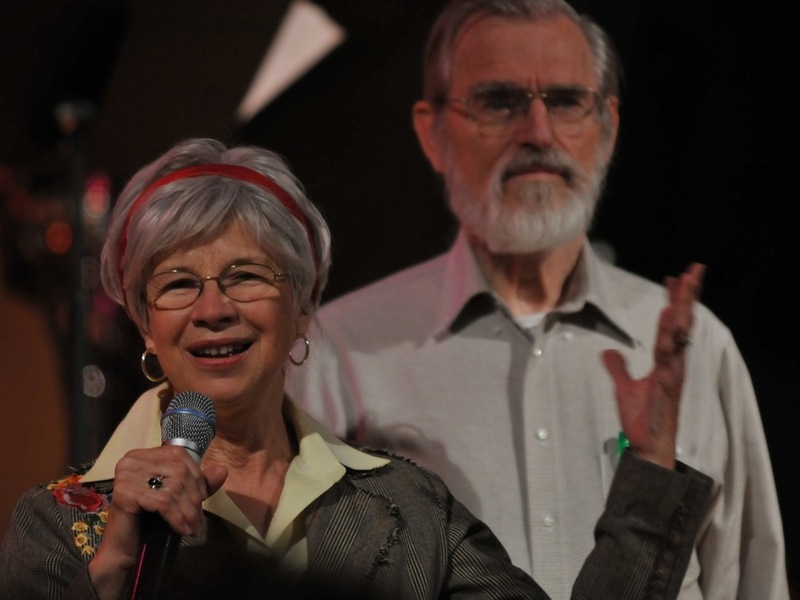 Two of our personal heroes are the wonderful folks you see here: Chester and Betsy Kylstra. They are dear friends and incredible ministers with wonderful insights into life, spiritual dynamics and healing. One of the best things AJ and I have ever done is a healing week with their ministry called Restoring the Foundations (or RTF for short). It's an intensive week of healing and deliverance. The week (actually five days if you are married, or three days if you are single) is spent receiving ministry from RTF trained ministers. They'll listen to you share your story, help you identify the roots or foundational problems that have tripped you up thus far and put you all back together. It's a thorough week and is the most comprehensive approach to ministry we've encountered. While the ministry is worth every cent, it is still quite expensive (it's around $2,000 for a married couple) and this is often a legitimate hindrance for people to go receive ministry. Every once in a while though, the RTF office emails to let us know they are offering a special 50% off deal. RTF is constantly training and certifying new ministers. These ministers are often former pastors and leaders and are mature Christians seeking to give their life to seeing people get healed. As part of their certification they need to minister to a number of people. If you are happy to be ministered to by someone who has completed their training but is awaiting certification, you can get in for 50% off the regular price. All your ministry sessions are overseen by an experienced trainer so you will not be in the hands of a rookie! The cost for couples, normally $1950 for the week (36 hours), is only $975 during the training; singles that normally pay $950 for the thorough ministry (15 hours) will pay only $475. You will receive ministry at Echo Mountain Inn which is the home of the RTF International Training Center in Hendersonville, NC. Ministry receivers staying at Echo Mountain Inn will be provided a room discounted 40% off of the published rate (based upon availability). If you are interested give Susan Rhodes, Ministry Coordinator a call at 828-696-9075, ext. 704. Mention that you know us or that you go to emanate / Grace Center and Susan will take care of you. If you want more information about RTF visit their website.